Sunday Lotto online - play the Spanish lottery! Sunday Lotto, you guessed it, takes place every Sunday! Enjoy big jackpots for a low price of just £1.50 and see if you can make Sunday an absolute sizzler! Sunday Lotto is based on Spain’s El Gordo de la Primitiva. Just choose 5 numbers from 1-54 and a further key number from 0-9. If you match all 5 and the key number you’ll win the jackpot! 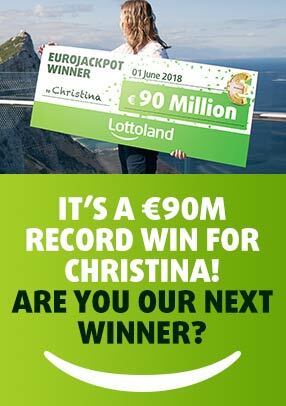 Sunday Lotto takes place at 9.30pm CET every Sunday and features a minimum guaranteed jackpot of at least £3.5m! A single bet on Sunday Lotto costs just £1.50! Why not select our DoubleJackpot option and bet for twice as much for just £3? !